OTT video has reshaped a successful industry. What must operators doOTT video has reshaped a successful industry. 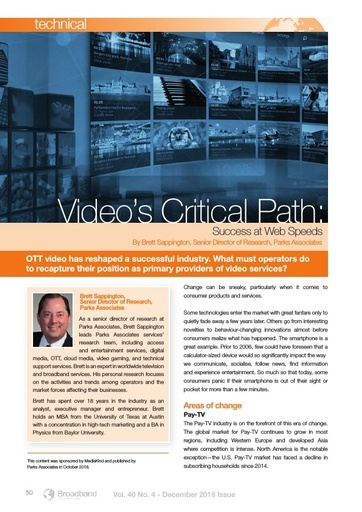 What must operators doto recapture their position as primary providers of video services?